Dr. Robert J. Hariri joined us as a Director in July 2011 and was elected Chairman of the Board in April 2012. Dr. Hariri has served as the chairman and chief scientific officer of Celgene Cellular Therapeutics, a division of Celgene Corporation (NASDAQ: CELG), since 2014. From 2002 to 2014, he served in various positions at Celgene Cellular Therapeutics, including chief executive officer and president. Prior to joining Celgene Cellular Therapeutics, Dr. Hariri was founder, chairman and chief scientific officer at Anthrogenesis Corporation/LIFEBANK, Inc., a privately held biomedical technology and service corporation involved in the area of human stem cell therapeutics, which was acquired by Celgene Corporation in 2002. Dr. Hariri also serves as president of Human Longevity Cellular Therapeutics, Inc., a privately-held genomics and cell therapy-based diagnostic and therapeutic company focused on extending the healthy, high performance human life span, which he co-founded in 2013. He has also served as co-founder, vice chairman and chief scientific officer of Neurodynamics, a privately held medical device and technology corporation. 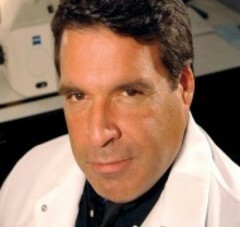 Dr. Hariri is an adjunct associate professor of pathology at the Mount Sinai School of Medicine and has also held key academic positions at Weill Medical College of Cornell University and the Cornell University Graduate School of Medical Science, including serving as the director of the Center for Trauma Research. Dr. Hariri is also a director of Cryoport, Inc. (NASDAQ: CYRX), Bionik Laboratories Corp. (OTCQX: BNKL), Provista Diagnostics and Rocket Racing, Inc. Dr. Hariri is a member of the scientific advisory board for the Archon X Prize for Genomics, which is awarded by the X Prize Foundation. Dr. Hariri also serves as a trustee of the J. Craig Venter Institute, a trustee of the Liberty Science Center and a commissioner of the New Jersey Commission for Cancer Research. Dr. Hariri received the Thomas Alva Edison Award in 2007 and 2011, The Fred J. Epstein Lifetime Achievement Award in 2012 and numerous other honors for his contributions to biomedicine and aviation. He has served as a member of the board of visitors at Columbia University School of Engineering & Applied Sciences and the Science & Technology Council of the College of Physicians and Surgeons. Dr. Hariri received his undergraduate training at Columbia College and Columbia University School of Engineering and Applied Sciences and was awarded his M.D. and Ph.D. degrees from Cornell University Medical College. Dr. Hariri received his surgical training at The New York Hospital-Cornell Medical Center and directed the Aitken Neurosurgery Laboratory and the Center for Trauma Research. We believe Dr. Hariri’s training as a scientist, his knowledge and experience with respect to the biomedical and pharmaceutical industries and his extensive research and experience qualifies him to serve on our Board of Directors.